The Professional Bull Riders Built Ford Tough World Finals will return to Las Vegas in 2015 and tickets for the â€œtoughest sport on dirtâ€ are on sale now. â€¢ For the 22ndÂ consecutive year, Las Vegas will host the richest bull riding event in the history of Western sports. The PBR World Finals returns to Las Vegas for a five-day show, Oct. 21-25, showcasing the Top 40 bull riders in the world and the top bulls, all competing for their share of the $2.2 million total purse. One man will receive $250,000 as the PBR World Finals event winner, one bull will receive $50,000 as the World Champion Bull and one manwill become a millionaire, receiving a$1 million bonus as the overall 2015 PBR World Champion. 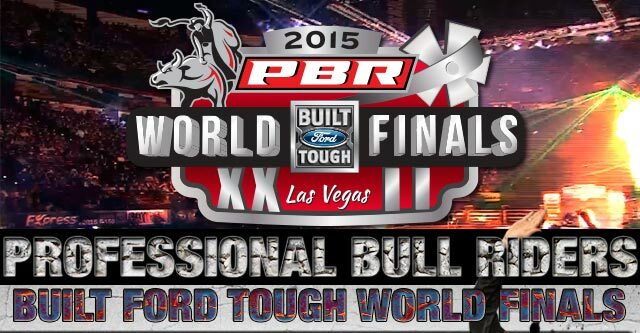 â€¢ Tickets for the 2015 PBR World Finals range in price from $26 to $251. They can be purchased atÂ www.unlvtickets.com, or by calling 866 PBR SHOW.